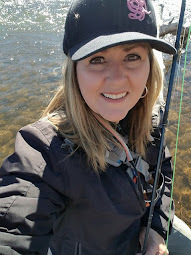 My fly fishing journey started only four years ago. I guess that you could say that I was a late bloomer. When I hit my mid-life crisis…I hit it smack on like a freight train. Nothing was going to be taken for granted any longer. I had a thirst for learning. A craving for adventure. I wanted to spend more time outdoors with nature. What was the answer? Fly fishing. I remember my grandfather taking us on camping trips to Yellowstone National Park and stressing the importance of keeping the fish and wildlife populations intact and healthy for future generations to enjoy. It was meant to be a land of enchantment, abundant wildlife and life long memories. So, it wasn’t too surprising that years later, I would have the yearning to see Yellowstone on my own time and explore the beautiful rivers and creeks up close and personal. 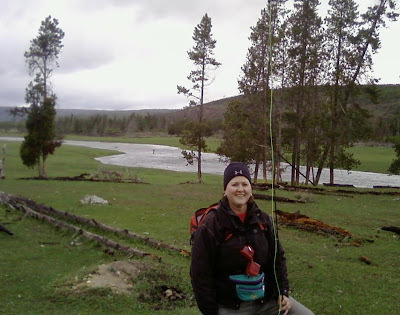 In June 2009, my fly fishing journey began. 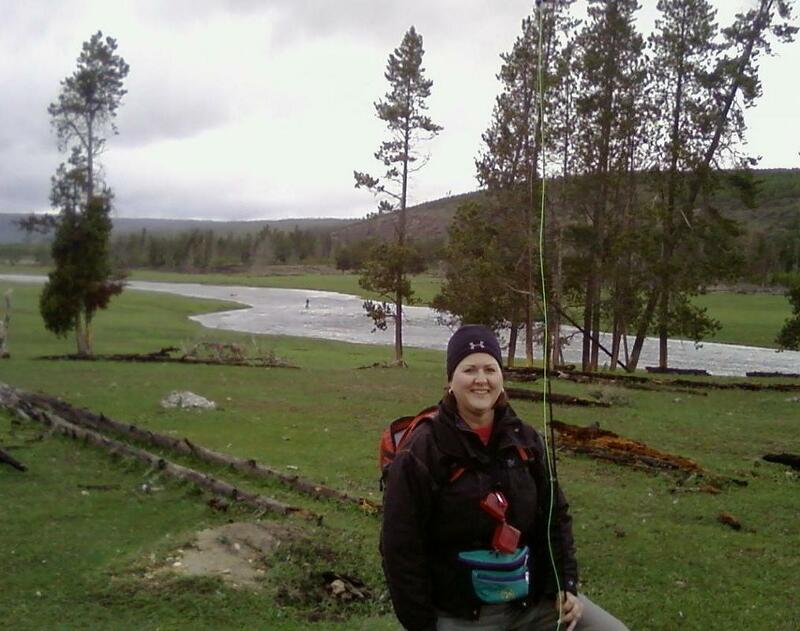 The beginner fly fishing class that I took, carpooled up to the Firehole River in Yellowstone. Standing beside the Firehole is an amazing experience in itself! It's a world of bright colors and steaming pools...what a sight! 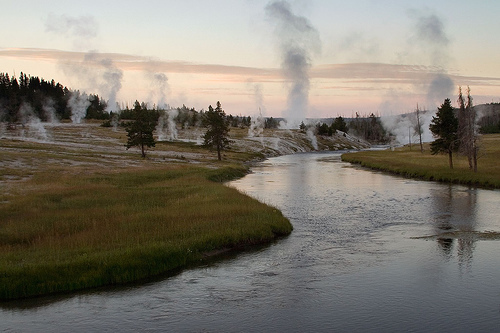 The YNP is famous for its stunning geothermal features such as geysers, steam vents and thermal pools. And where else can you find one of the most exotic, free-flowing rivers in the country? The excitement builds as you rig up your four weight and head down the path to an unbelievable site. It's one of the most surreal experiences one can have in fly fishing. The early morning pillars of steam give you a peaceful, calm feeling. And you might find yourself fishing alongside a bison or an elk! Because of thermal activity, the river water temp was a lovely 70 degrees. I found out very soon that there is nothing nicer than a "warm" dunk over a "cold" dunk in the river! But, something extroardinary happened on this trip. I became aware of how important it was that we keep these waters clean and pure. 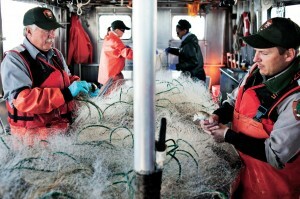 And how to release fish carefully and take pride in being a responsible fly fisherman. I went home wanting to give more than to receive from my new found passion. 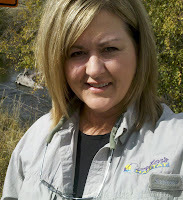 There was a burning desire inside of me to reach out and help out with the conservation efforts at home. 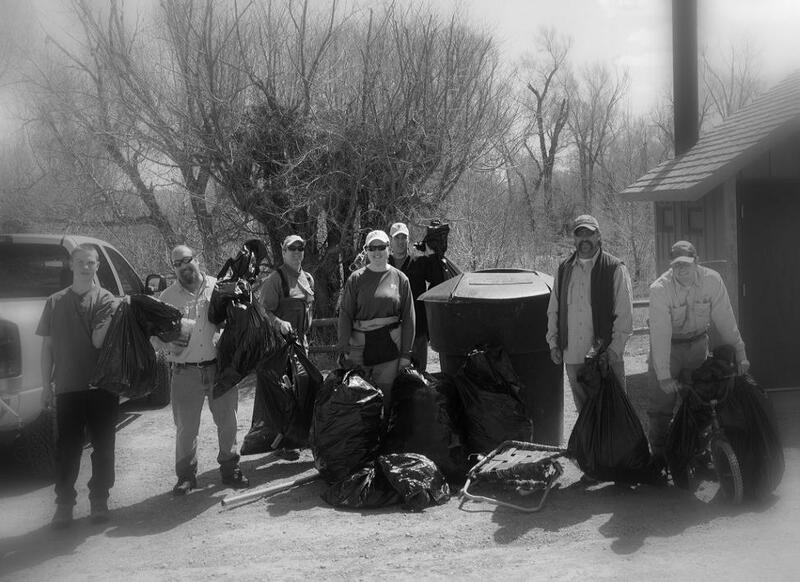 I met up with a fly fishing group that wanted to keep the rivers clean also! The spirit of Yellowstone was still in my heart and I appreciated the management of keeping the land and water as natural as possible. 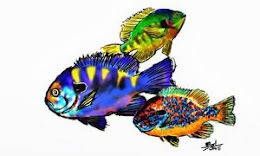 They definitely work hard to preserve and restore native fishes and their habitats. We, as anglers, are fortunate to have the opportunity to cast for wild fish in a natural setting such as Yellowstone National Park. In July, 2010...I only had three days to see as much as I could of Eastern Idaho and the Yellowstone area. It was a whirlwind trip to say the least! Eight rivers in three days. So, if you ever want to fish with me, you had better be ready to move! The thirst to discover more about the Yellowstone National Park and why it is so magical, drove me there once again. I found myself on the beautiful, emerald waters of the Lamar River. And this is where I caught and released my first cutthroat in Yellowstone! Ahhh...The Yellowstone cutthroat. A beautiful, native species of trout in the YNP. 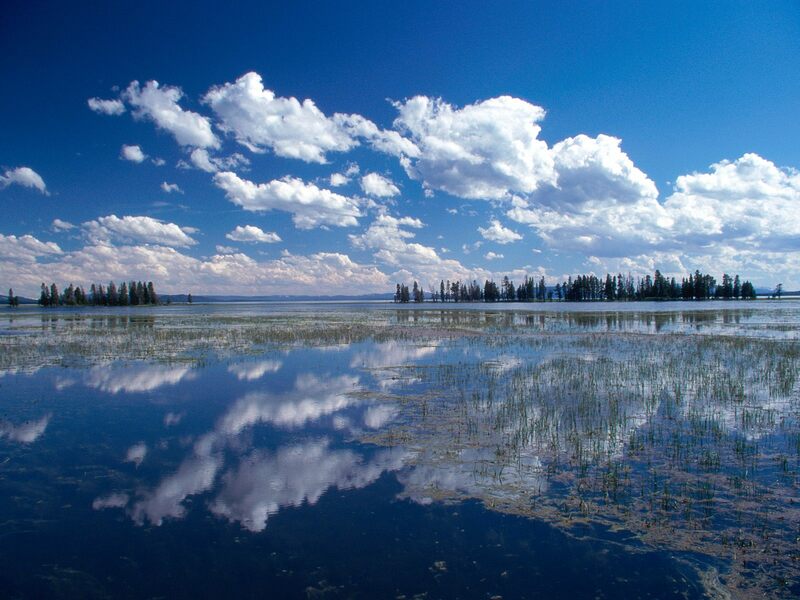 Back in 1994, the National Park Service discovered the presence of lake trout in Yellowstone Lake. An illegally introduced species of fish, these non-native lake trout are annoying predators that dwell in the deepest parts of the lake. 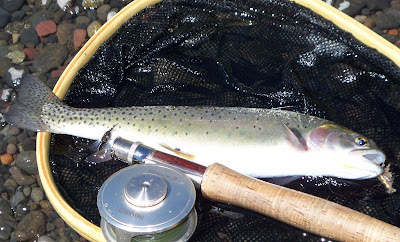 They have taken over Yellowstone Lake and have devoured many of the native cutthroat trout. Yellowstone has worked hard in killing these lake trout by snaring them in gill nets every spring through fall. All because of illegal stocking years ago. The gloves have come off to fight and save the Yellowstone cutthroat and the ecosystem. 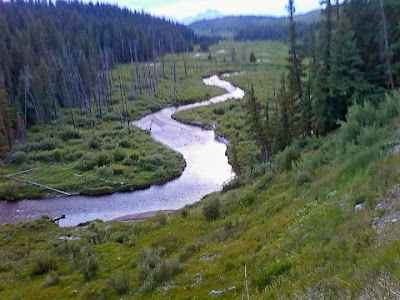 Millions of dollars have been poured into the fight for the remaining 25% of the cutthroat population that used to inhabit the lake of approximately 136 sq mi. Hopefully, in a few more years, the cutthroats in Yellowstone Lake will start to show their prominence once again. This is important for the other estimated 42 species of wildlife that have come to depend on the cutthroat as a major food source. The grizzlies, otters, and ospreys to name a few. So, the uphill battle continues to save what was once the greatest cutthroat lake to fish in the world. parks like the Yellowstone National Park when visiting them? The "Leave No Trace" program outlines seven principles for outdoor enthusiasts to help the environment. If we can remember these helpful rules, we could make the world a better place...to enjoy outdoors anyway! In short, they are: Plan ahead and prepare, travel and camp on durable surfaces, dispose of waste properly, leave what you find, minimize campfire impacts, respect wildlife, and be considerate of other visitors. A special thanks to the organizations above that have brought this essay contest to the OBN outdoor bloggers. 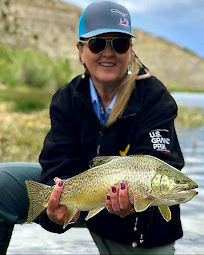 It has been an amazing opportunity to learn more about the challenges of the lake trout epidemic of Yellowstone Lake and the solutions that will bring the Yellowstone Cutthroat back into the fold and keep Yellowstone National Park in it's most pristine condition. Well done. It must be very tempting, living so close, to play hooky and drive north. Emily, excellent! If this isn't a winner than I really am a lunatic. Howard ~ I appreciate the kind words. The entries have all had so much thought and concern about the subject at hand. I feel fortunate to be able to do more research and find out more about what is going on with this epidemic of lake trout. If we all show our support in some small way, we all win. 333 ~ Thank you. It was my privilege to write about something of such magnitude. Great read! I love that park myself maybe I will get a chance to hitch a ride up there with you one year. God's country for sure! Well here's hoping that if I don't win, you do. Great post. :) Jellystone is truly one of my favorite places on Earth. Paul ~ I appreciate that! I read about your adventures in the Park and you have the same fondness for the Park as I do. It is an amazing place for sure. Sanders ~ Thanks, my friend. 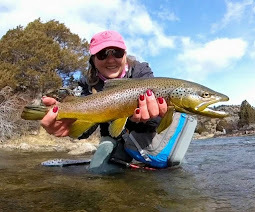 Catching and releasing a native trout in the Park is extra special. Now, to do it again!! !